Religious posters can be a powerful source of encouragement and blessing. They show the goodness and the greatness of God in a visual way, causing the message to go straight to your heart. 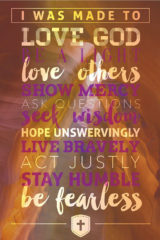 We offer a unique and wide selection of inspiring religious posters, that have changed the lives of many people all over the world. We have wonderful testimonies of people who told us how some of our religious posters were used by God to deeply impact them and change their life. 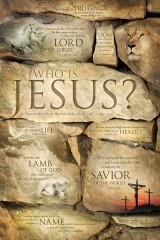 Click here to see all our religious posters! We all know the saying ‘an image is worth a thousand words’. 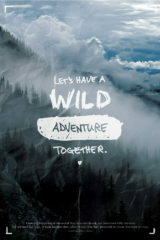 Well, what do you think happens, when you combine inspiring words with powerful images? The effect multiplies! That’s the power of a religious poster: it shows both the Word of God, through scripture and it shows images that express the love of God and the life changing power of God. Religious posters therefor help us know how deep God’s love for us is, and they can encourage us to have faith in His power that strengthens us to overcome the struggles in our life. 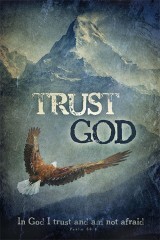 God is always on our side! There is a lot of negative news in this world. Many people are overwhelmed with influences that steal joy and peace. Religious posters help to keep your mind filled with the mercy and grace of Jesus Christ and they remind us that God is real and very close to us, in every situation of our lives. Use these religious posters to bring the light of Jesus Christ in classrooms, office, churches, bedrooms, homes… Religious posters are also ideal as a gift for youth, teenagers, college students, teachers, kids,… They will truly be a blessing! Among the testimonies I received from people who were blessed by religious posters, is the story of a young man who wanted to commit suicide. He was driving in his car, on his way to the place where he wanted to end his life. Then all of a sudden he saw one of our posters in the back of his car. The poster spoke about how deeply God loves us and how precious we are to God. The young man broke into tears, and changed his mind about his plans. He became a happy and fulfilled christian, who is now involved in youth ministry. Years later he wrote me that he still becomes emotional when he thinks back about that moment, when God used a religious poster to save his life and reveal to him how precious he is to God. That is the power of christian posters! Another testimony comes from a lady who was verbally abused by her husband. She lay om her bed, sobbing, when her daughter entered the room and gave her one of our posters about the love of God. The lady wrote us that the moment she saw this poster, her heart was overwhelmed with the wonderful love of her heavenly Father and she received a life changing revelation of God’s love. This gave her a foundation for the rest of her life. Religious posters can truly change lives. They can touch your heart in a very powerful way. Kids are our most precious possession, and we should cherish them with all our heart. God loves little children deeply, because He is a true Father and Mother. We can use religious posters for kids to help them understand who God is, that God loves them and that God is the foundation for a hopeful future. 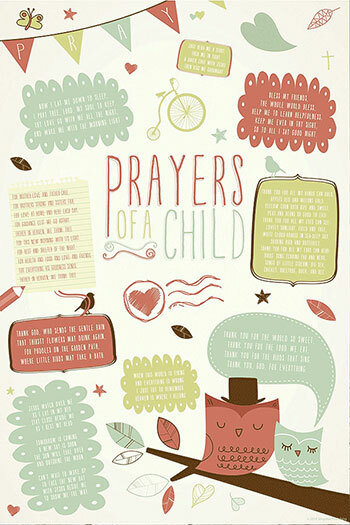 Religious posters for kids are also ideal as a gift. They brighten up any bedroom, in a real positive way. 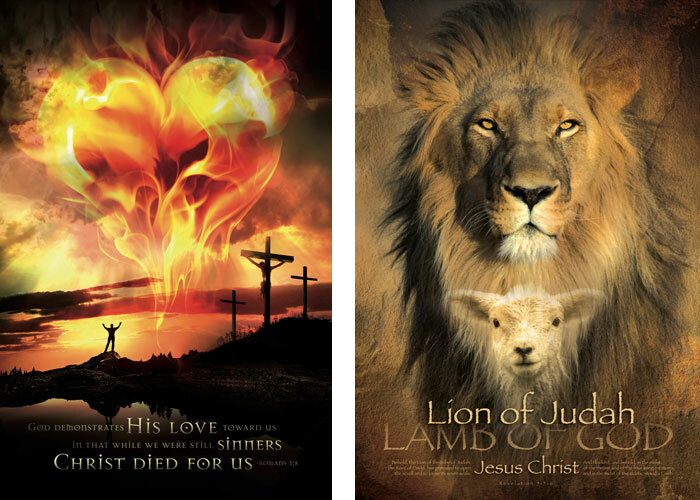 Religious posters for kids are perfect for classrooms, to inspire children with the Word of God, and help them put their faith in Jesus Christ, who wants to be their Good Shepherd and best Friend. Many years ago I had a successful graphic design studio, and I earned a lot of money. My creative gift also helped other companies become more successful. If I wanted, I could become rich with my gift. But I had encountered jesus Christ as the most powerful and life changing reality there is, and He put His burning love inside my heart, to show people there is hope, because God is real. So although I was making a lot of money, I felt more and more frustrated, spending all my time and energy helping ungodly companies become bigger and bigger. 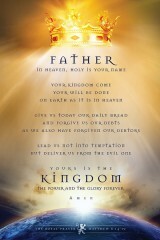 I wanted to help the Kingdom of God grow in the earth. One day I stepped into the office of my biggest client, a famous greeting card company for whom I designed the most successful card collections. I told the CEO that I stopped working for them and would begin using my gift to show people that God loves them. I had made up my mind: I would start a new collection of religious posters. Most religious posters that I had seen, were very old fashioned and boring. I knew I could to better. So I started my journey, which soon turned out to be a real adventure. How would I be able to sell my religious posters? Would I find a good christian publisher? Would I be able to make a living out of this? Once I had designed my first religious posters, I put up my first website: lifeposters.org That was my first step to getting the news out there, that there was a whole new style of religious posters on the market.